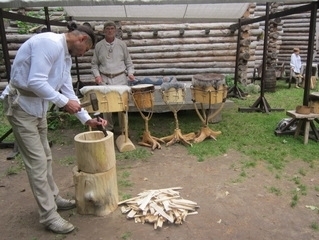 Stump drums from farm "Dzirnupes"
Opportunity to take part in country homestead chores, to learn the gathering process of herbal teas, to enjoy a real country sauna and view ancient household tools. The forge house is scheduled to be opened at the beginning of the season. 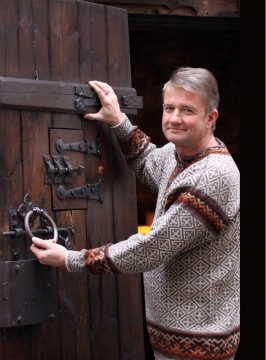 Latvian Crafts camera forgemaster, Country creation master. After customer wishes - for pubs, bath houses, salons, farms produces: fireplace tools, shutters, outdoor lamps, garden chariots. The workshop of a traditional pottery master. If you would like to participate in an educational demonstration, apply for a visit to the workshop. 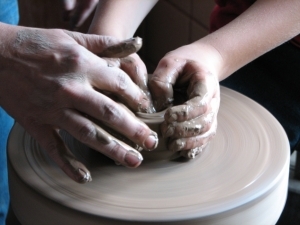 During the visit, you will have the opportunity to become a pottery master yourself. 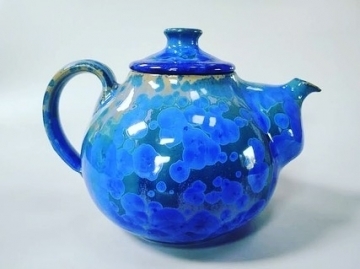 At Vidzeme potter’s A. Preiss’ workshop “Zelmeņi” in Skulte parish, you have the opportunity to see the creation of pottery, to view the exhibition and to purchase the pottery and enjoy the fireplace and open fire brick-kiln in nice weather.